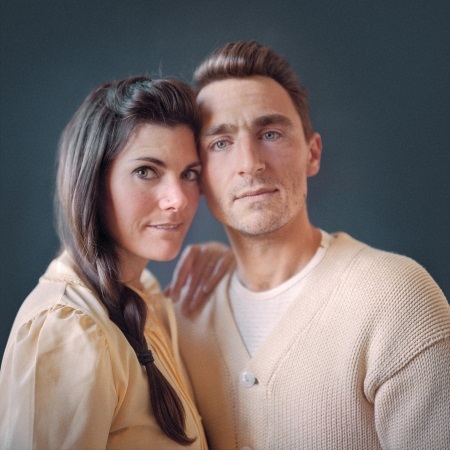 Oakland based husband and wife folk duo The Saxophones have released another single from their forthcoming full-length Songs of The Saxophones. On the slow moving Time Is Like A River they delve into the Buddhist perception of the passage of time. Alexi Erenkov and Alison Alderdice channel Leonard Cohen on a backing of slowed down orchestral pop, making each count to weave kaleidoscopic textures. It's a pocket symphony, that shows more layers after each listen. Time Is Like A River will be available on their debut full-length Songs of The Saxophones thru UK label Full Time Hobby (white vinyl - 500 copies, black vinyl, CD and digital). Pre-order here. Release date: June 1st.